Food Empire is proud to be part of Woodgrove Secondary School's 20th Annual Speech Day held on 13 April 2019. We are honoured to support the Woodgrove Performing Arts Award that recognises exceptional students who have displayed outstanding talent and contributions to the Performing Arts. Congratulations all awardees! Food Empire brings cheers to 180 Chai Chee residents this year by sponsoring the annual charity dinner for needy bread recipients. 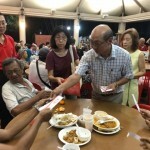 We also gave out NTUC gift vouchers to the needy that they can use for their daily expenditure. The buffet dinner was held on 19 November at Chai Chee Avenue. Food Empire strives to not only make a positive difference in the lives of consumers through our brands, but also to the community around us. 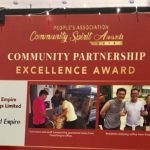 We are pleased to announce that Food Empire has been awarded the Community Partnership Excellence Award this year for its outstanding contributions towards the community and grassroots movement at the People’s Association Community Spirit Awards 2018 in Singapore. 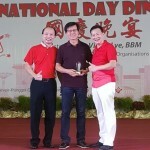 The award was presented by guest-of-honour, Mr Chan Chun Sing, Minister for Trade and Industry and Deputy Chairman of the People’s Association. It is Food Empire's mission to provide quality food products to consumers and make a difference in people's lives. 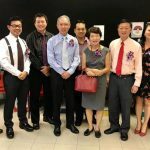 This year, Food Empire is honoured to be one of the sponsors for ACE Senior's "Bringing NDP to Seniors 2018" celebration. 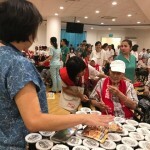 In addition to our volunteers' efforts, we are also heartened to have brought much cheer to more than 90,000 seniors across 15 nursing homes and community hospitals with our delicious food products as we celebrate Singapore's National Day together. Food Empire is honoured to support the National Day Dinner 2018 organised by Aljunied GRC. At this annual event, members of the community gathered to celebrate Singapore’s 53rd National Day with unity and good cheer. 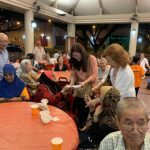 On 13 November 2017, Food Empire once again touched hearts in Chai Chee as it sponsored the Project Sunshine Charity Dinner for Chai Chee Needy Bread Recipients, a buffet dinner for the estate’s elderly residents. 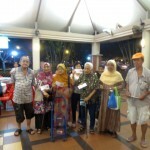 The residents were also delighted to receive grocery shopping vouchers during the event. 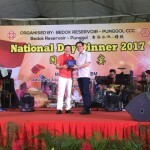 Organised by the Bedok Reservoir - Punggol CCC to foster ties and promote unity, this year’s National Day Dinner brought members of the community to share good cheer and good food. Food Empire was honoured to sponsor this annual event. 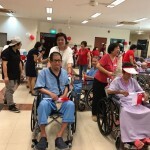 Compassion and empathy thrives within Food Empire, that’s why several of our personnel celebrated National Day by reaching out to the elderly residents of All Saints Home in Hougang. In addition to our volunteers’ time and effort, Food Empire made the occasion extra special by sponsoring product giveaways. Indeed, it was meaningful way to celebrate national pride and sense of community. 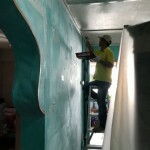 In 2017, Food Empire embarked on a new project to help improve the living environment of the elderly staying in 1-bedroom rental units through a series of refurbishment works including painting, cleaning, bedbug fumigation and de-cluttering. The team is deeply grateful for the kind donations received for this initiative. The outpour of support will surely inspire us to do more for the betterment of living conditions for the less fortunate.